 The Mexican American Catholic College is an independent, Catholic institution of higher learning. Our College was founded in 1972 by the Archdiocese of San Antonio and the Texas Catholic Conference as the Mexican American Cultural Center for pastoral formation and language study. At the time, there were no pastoral materials for the growing Spanish speaking communities around the United States. Without well trained leaders and a lack of understanding of the Hispanic culture and traditions, the need for transformative agents seemed insurmountable. For that reason, PADRES and Las Hermanas, a Mexican American priests’ organization and a religious women’s group, respectively, worked with the Texas Catholic Conference and the Archdiocese of San Antonio to create MACC, a cultural center focused on opportunity and need. When MACC came to fruition and addressed those needs, things improved. Soon, all the liturgical documents used by English-speaking Catholics were translated into Spanish. MACC quickly became a national center for theological education and the catalyst for development of Hispanic Ministry throughout the U.S. In the 90’s the mission expanded to address systemic racism and foster intercultural understanding through a ministerial formation program accredited by the US Conference of Catholic Bishops’ Committee on Certification and Accreditation, and in 2008 it became a Catholic college, the first post-secondary institution in the country to offer a bilingual Bachelor of Arts. Today, the mission of the Mexican American Catholic College is to empower and educate leaders for service in a culturally diverse church and society. In accordance with our mission, the College now offers degree based and continuing education programs. The offerings include certificates and degrees at both the undergraduate and graduate levels, certificates in specialized training, and an array of continuing education courses and workshops. New distance education options respond to the critical needs in Hispanic Ministry throughout the Catholic Church. The flower is a central, prominent symbol in both our logo and academic seal. It represents Our Lady of Guadalupe – our roots in faith and in human ancestry. Upon looking closely at Our Lady’s image, a four-petal flower swathed by a perfectly shaped circle above her womb is visible. That flower, for our indigenous ancestors, was the sign of the fifth sun – a time of great change, of creative energy, and of the fulfillment of God’s promises: Jesus, the center of our personal life and our mission. The gentle cross and the golden circle within the flower petals are symbolic of Christ in the Eucharist who draws the four C’s into a whole: unity in diversity. Each C is an incomplete circle that is made whole through an encounter with the Living Lord. Their convergence captures MACC’s initial approach to the transformative learning and academic formation process. They are the heart of what our initial programs accomplished: Cross-Cultural Conversion and Communion. The different color of each C in the flower also represents the diversity of our Church and society. We are conveniently located minutes from historic, downtown San Antonio. Our campus offers comfortable accommodations, modern classrooms, a computer lab, the Virgilio Elizondo Library, St. Joseph’s cafeteria, a relaxing lounge, well equipped kitchen and laundry facilities, lovely gardens, and a peaceful chapel for quiet meditation and liturgical celebrations. The beautiful, hacienda-style complex is additionally within walking distance of Woodlawn Lake Park and conveniently close to bus lines, a post office, a supermarket, and other stores. Click here to view a map of the campus.